Pressure-treated wood has been around for nearly 70 years, yet most of us still know very little about this popular outdoor building material. To start, pressure-treated wood is softwood lumber, typically southern yellow pine, that's been chemically treated to resist rot, decay and termites. The boards are rolled into giant pressurized tanks where chemical preservatives are forced deep into the wood's fibers. 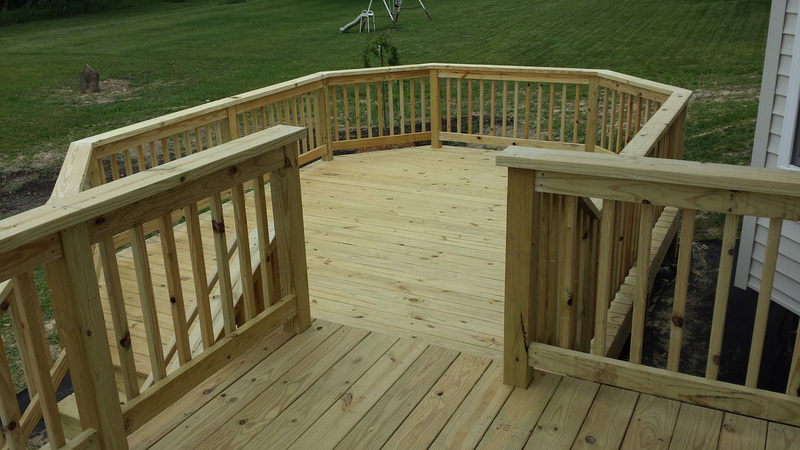 The result is an exterior-grade wood that's ideal for building decks, fences, sheds, picnic tables, swing sets, and other outdoor projects. 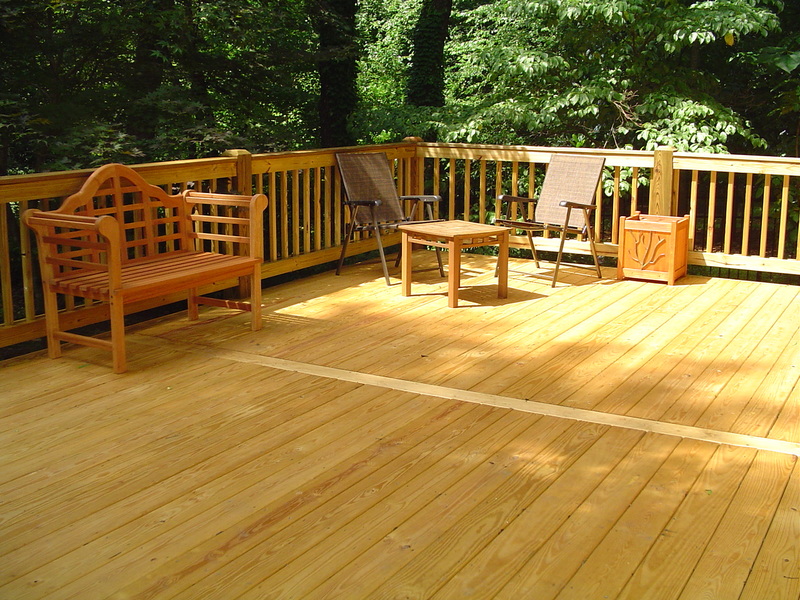 There are reported to be some 30,000,000 wood decks in the United States, and the number increases with every new subdivision. 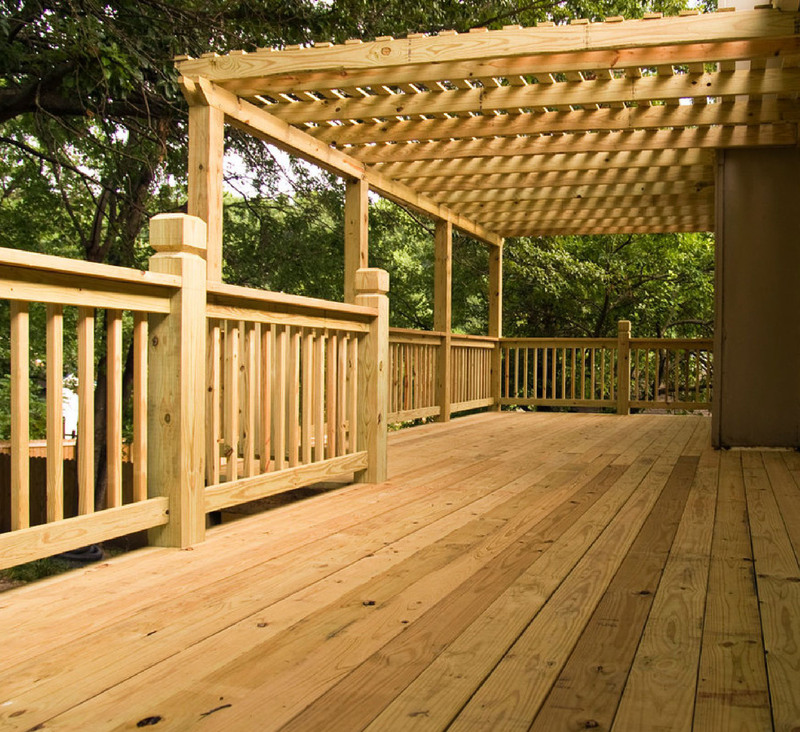 Despite the ongoing use of some naturally durable species of wood and the emergence of several types of artificial wood, the overwhelmingly chosen material for decks is pressure-treated wood. Longevity - Preserved wood resists damage from termites and fungal decay for decades; some producers offer warranties that extend for the life of the purchaser. Appearance - Treated wood can be found in a variety of lumber grades -- from knot-free, close-grained grades to grades with more knots, splits, and wane (missing corners where bark once existed). Other than imparting a greenish or brownish hue, pressure-treatment has little effect on the appearance of wood; the treating process makes wood last longer regardless of its appearance. 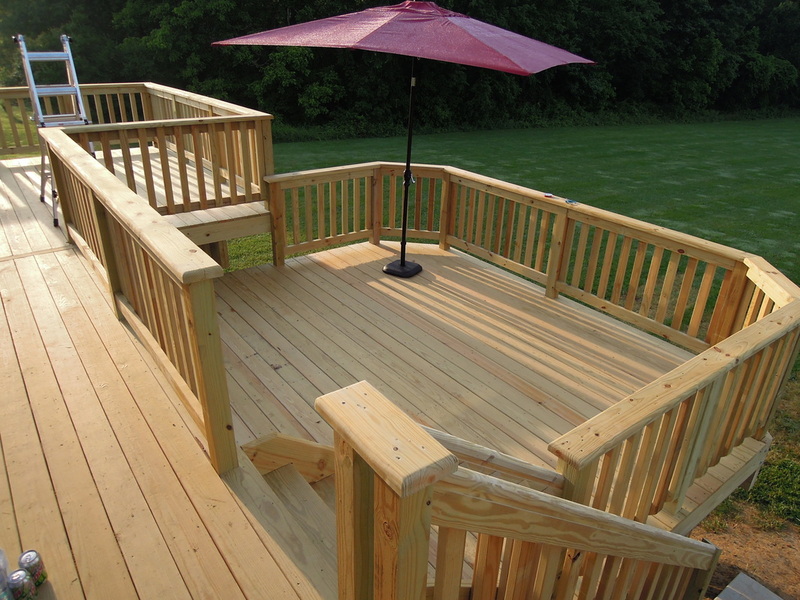 Preservative treatments - In the past, almost all deck lumber was impregnated with CCA (chromated copper arsenate) preservative. Now, however, residential lumber is protected by newer preservatives, such as copper azole and alkaline copper quaternary. 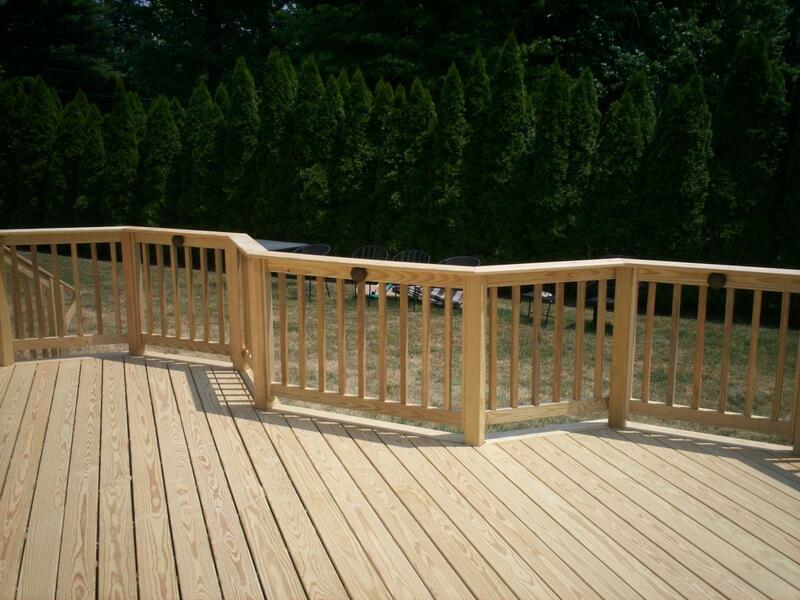 Wood treated with these preservatives is available from lumber dealers under various brand names; most widely known are Wolmanized® Residential Outdoor® Wood and Thompsonized® Wood. Protection - Wood that has contact with the ground is more susceptible to termite and rot damage than wood which remains above ground. Wood immersed in seawater has even greater vulnerability. Built-in water repellent - While the preservative treatment protects wood against termites and rot, it does not prevent moisture damage which can cause warping, cracking, and deterioration of appearance. 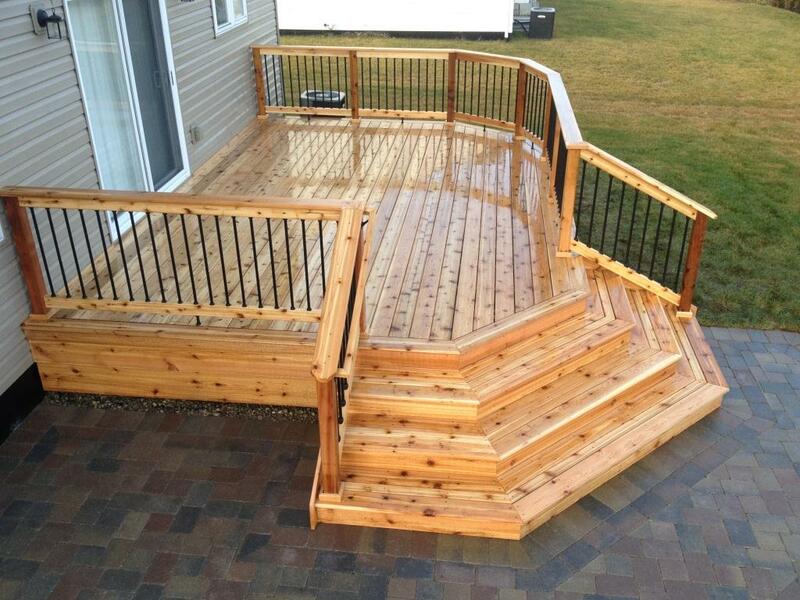 Some treated wood is produced with built-in water repellent which keeps the wood looking good longer. The water repellent feature will be marked on the wood and noted on store signs. Re-dried material - Some dealers offer treated wood that has been re-dried, usually marked KDAT for Kiln Dried After Treatment. This step provides a lighter weight product that is less prone to warp and can be painted without a waiting period. Sizes - You can find preserved wood products in a full range of sizes from 1" x 4" boards to 6" x 6" timbers, in a variety of lengths, plus plywood. 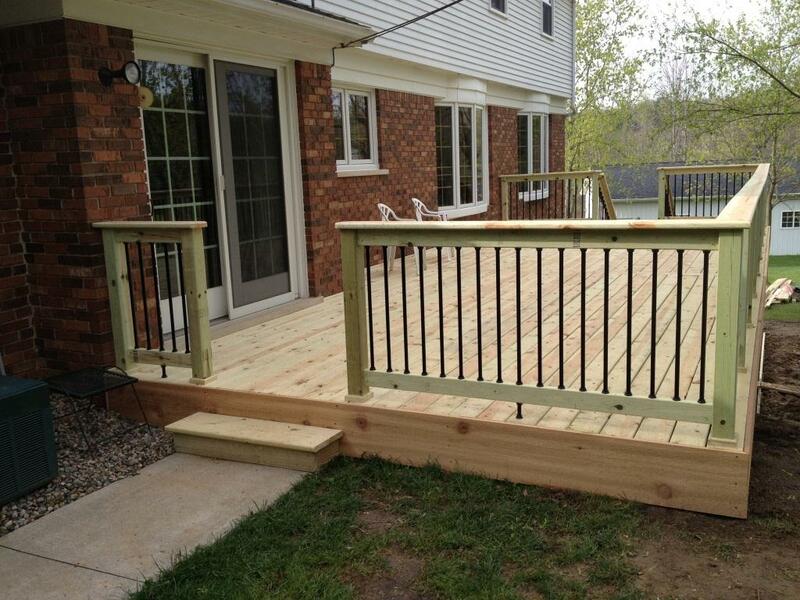 For decking, a popular thickness is 5/4", which has rounded edges for a distinctive look. 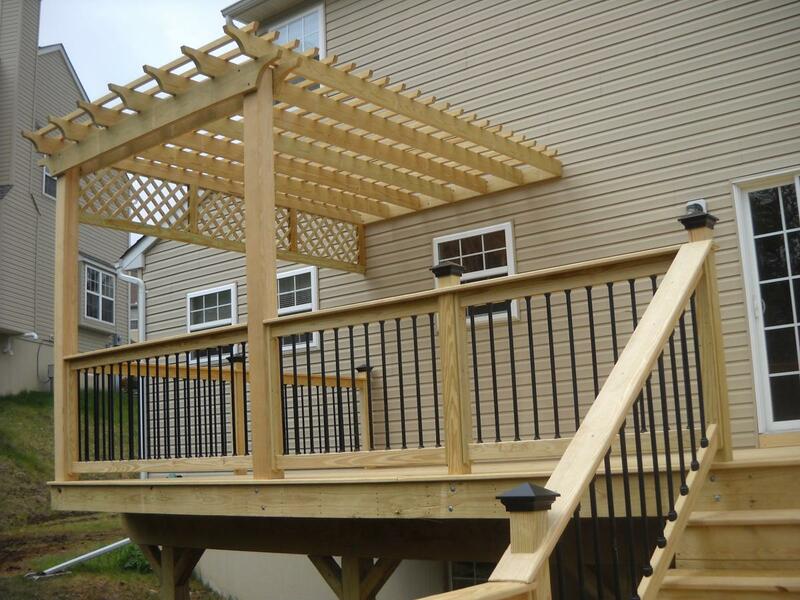 Many stores also carry treated wood specialty products -- such as spindles, handrails, ball tops, step stringers, and lattice -- which can make construction easier and embellish your project. 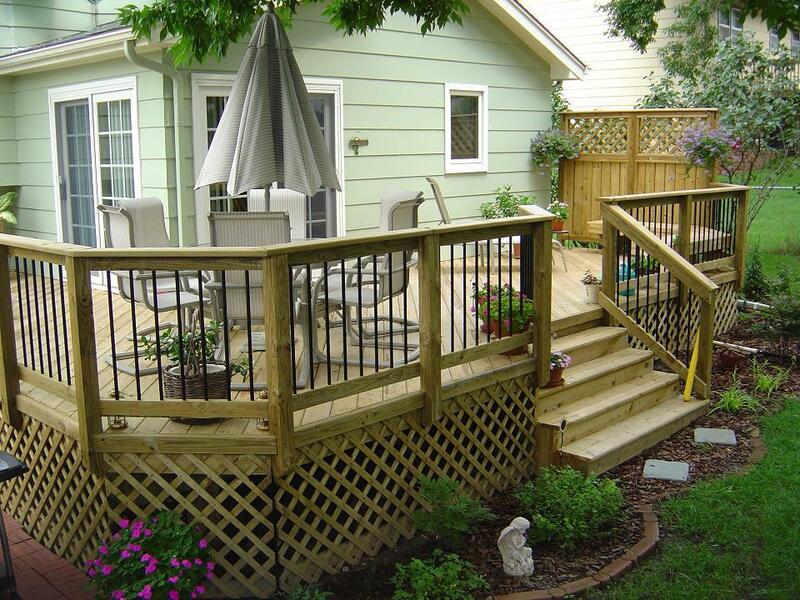 Maintenance - Every decking material requires some maintenance, for cleaning if nothing else. Pressure-treatment provides long-term protection against termites and rot, but even treated wood is subject to moisture damage. To protect wood against weather and premature aging, coat the wood with an effective brand of water repellent as soon as possible and then reapply a coating every year or so. 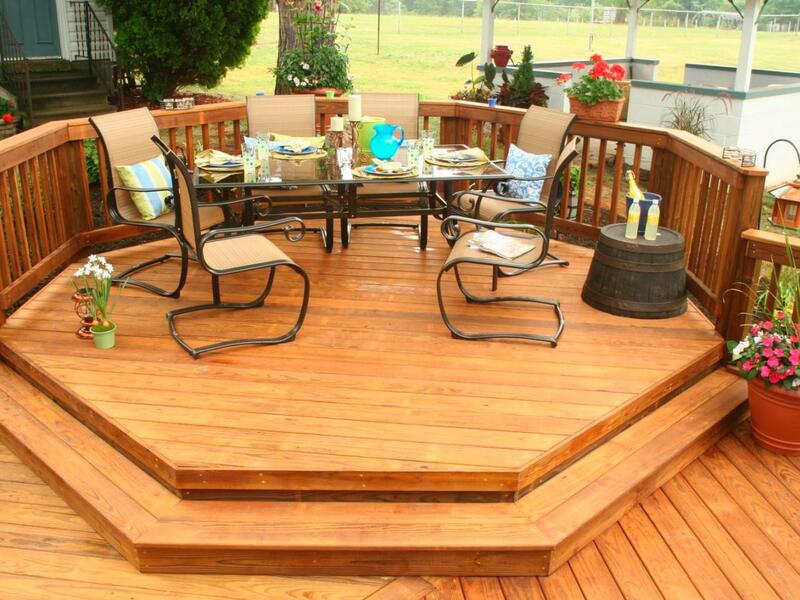 Environmental benefits - You can feel good about using preserved wood, an environmentally responsible choice. 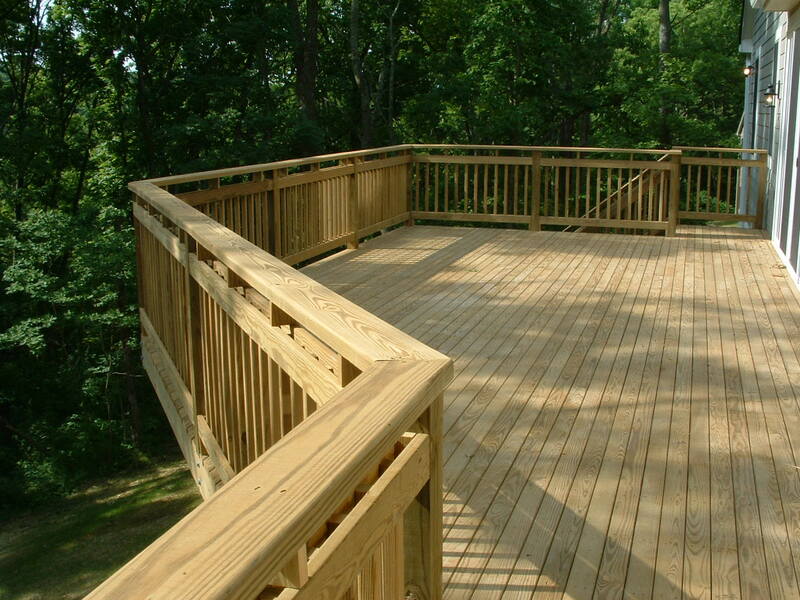 Treated lumber comes from our only major renewable building material -- wood. The trees used are plentiful and fast-growing, and they are grown on managed timberlands. Treated wood requires less energy to produce than alternative building products. The preservatives are manufactured, in large part, from recycled materials.